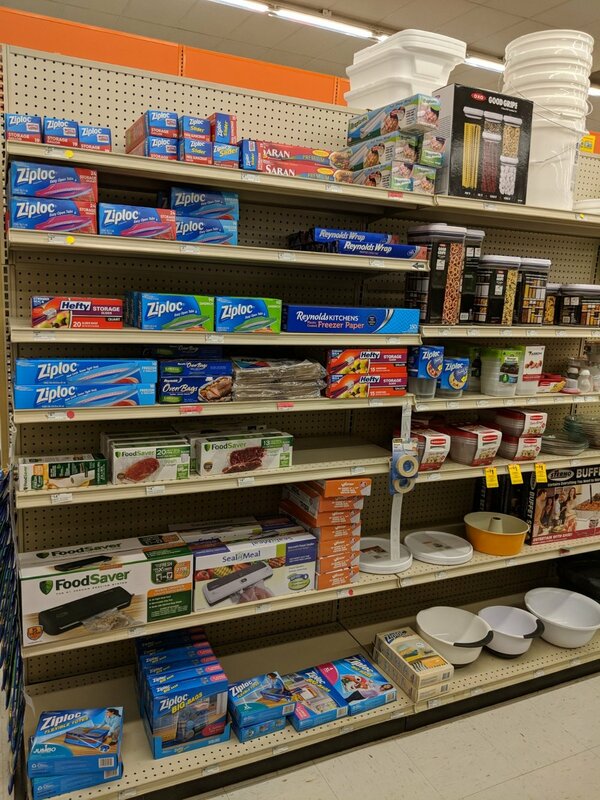 In our housewares department, you will find what need for kitchen tools, cleaning supplies, and other household necessities. We have a vast assortment of brands you can trust to make your daily chores as quick and easy as possible. 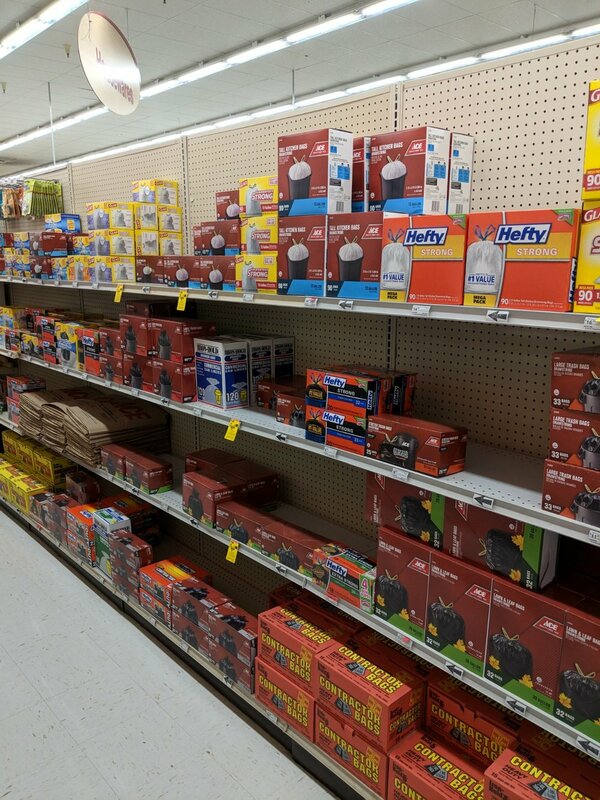 Our housewares department is designed to cater to not only homes, but also businesses. If your business needs a supplier of cleaning chemicals, paper products, garbage bags, or other necessities, Walsh's Ace will help you get a good deal on what you need. 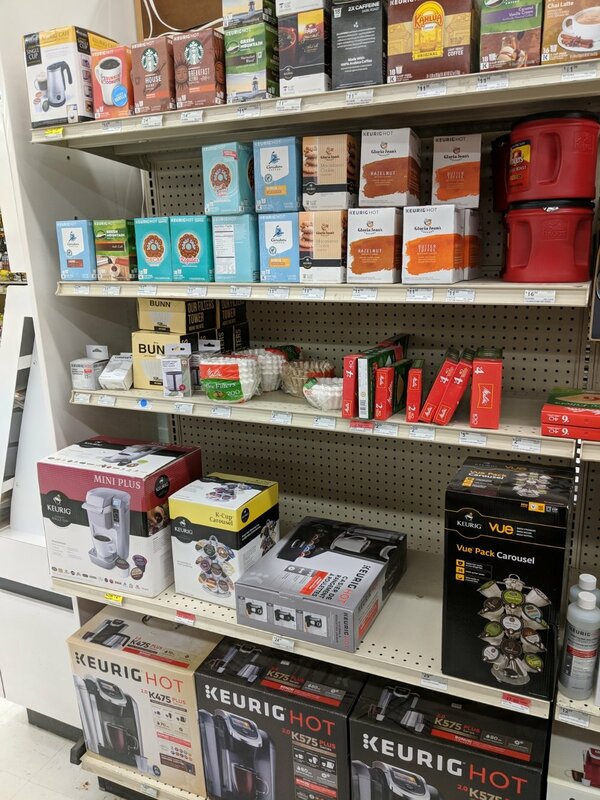 All of our stores sell a variety of small kitchen appliances, so when a holiday comes up and an integral piece of your kitchen equipment is broken, just a quick run to Ace will put you back in cooking action. 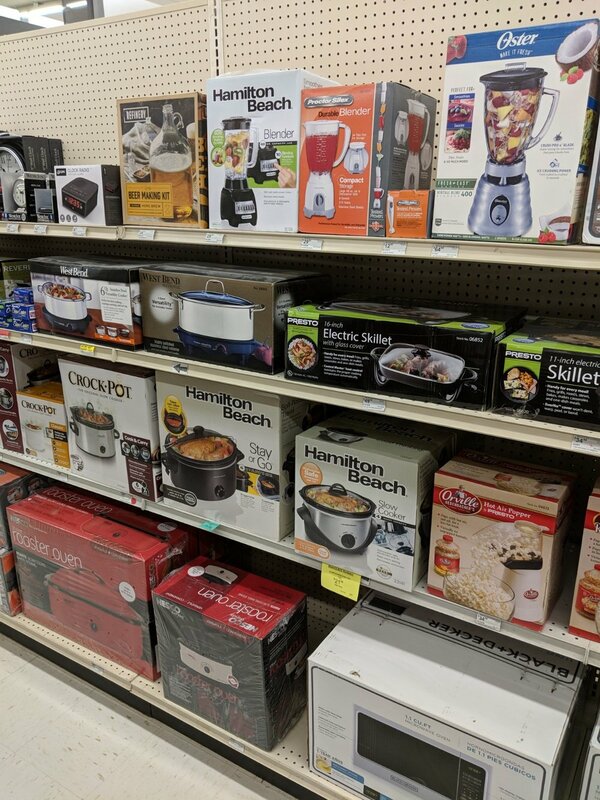 We sell microwaves, roasters, coffee pots, fryers, blenders, toaster ovens, pizza makers, slow cookers, popcorn poppers, and much more! Among our coffee makers, we sell Keurig machines. We also sell many different flavors of Keurig K-Cups and Keurig cleaners and accessories. We always have plenty of different food storage options in stock. We sell Ziploc baggies in all sizes and styles. We also have Rubbermaid and Ziploc storage containers, along with Good Grips press-top containers. We sell Saran Wrap, Reynolds Wrap, and freezer paper. We also sell Food Saver systems and supplies. We are your one-stop canning supply shop. We have jars and lids of many sizes and styles, pressure canners, and canning utensils. We also have a wide variety of seasonings, salts, and pickling supplies. We have basic kitchen utensils, like silverware, whisks, and spatulas, but we also have plenty of unique, useful kitchen gadgets. From hand crank apple peelers to can crushers to pastry blenders and jar openers, we might just have the helpful gadget you need to make cooking easier. We also sell the basic kitchen essentials, like pots, pans, and bowls. 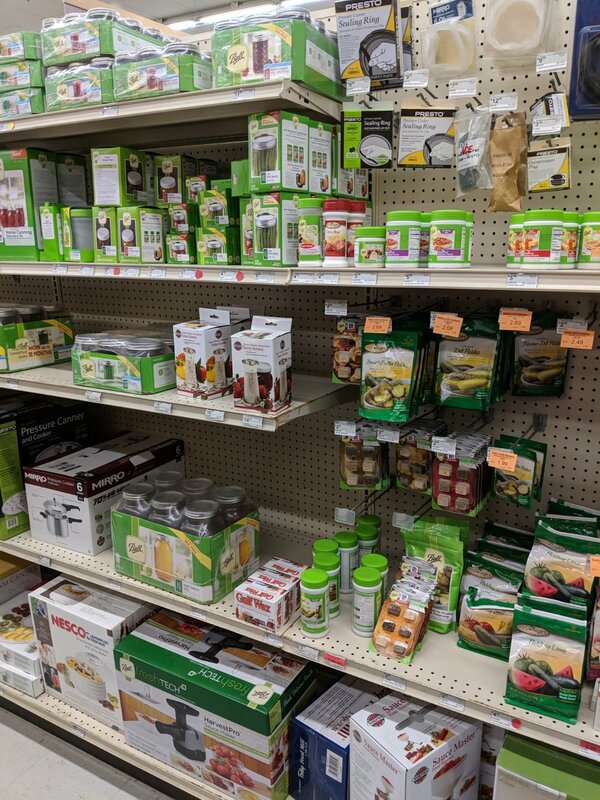 We have strainers, thermometers, timers, and everything else a hard-working cook needs. 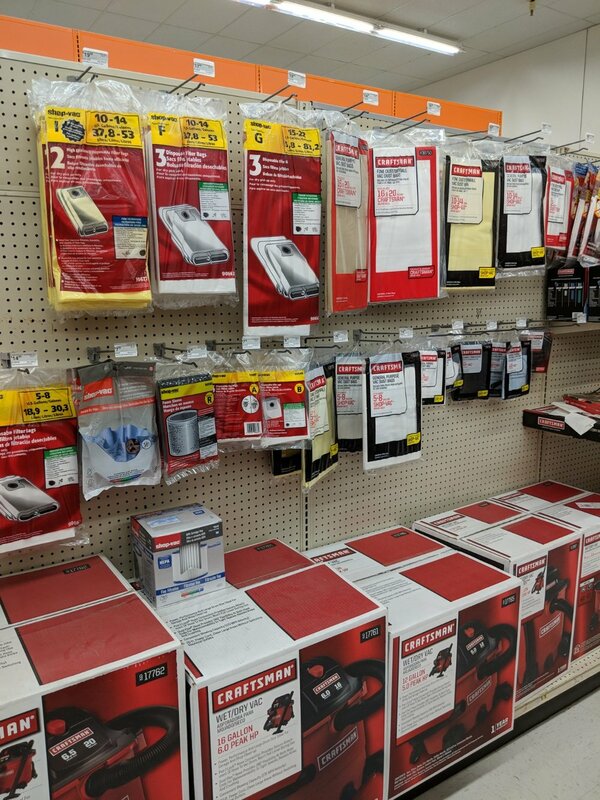 Our Ace stores are great places to stock up on paper towel, toilet paper, tissues, and napkins for your home or business. We also have plastic ware, paper plates, and disposable cups. 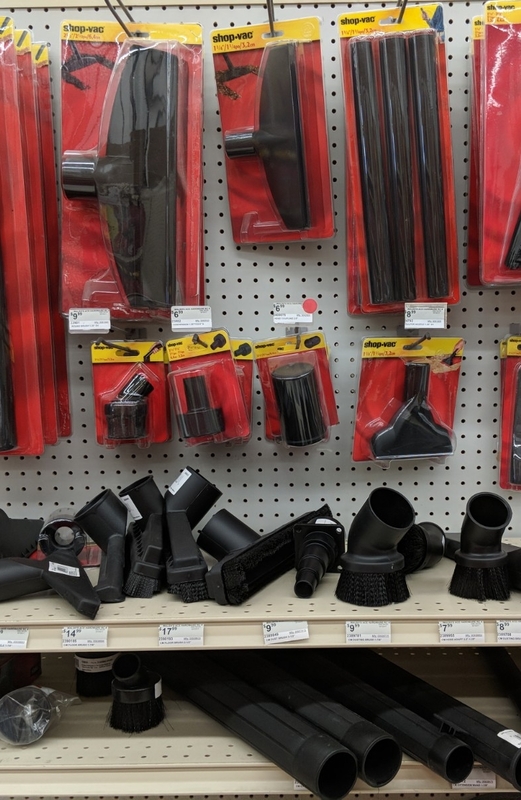 We always have plenty of garbage bags in stock, and you'll often even find some on sale, so be sure to check our monthly flyers and stock up with the price is right! 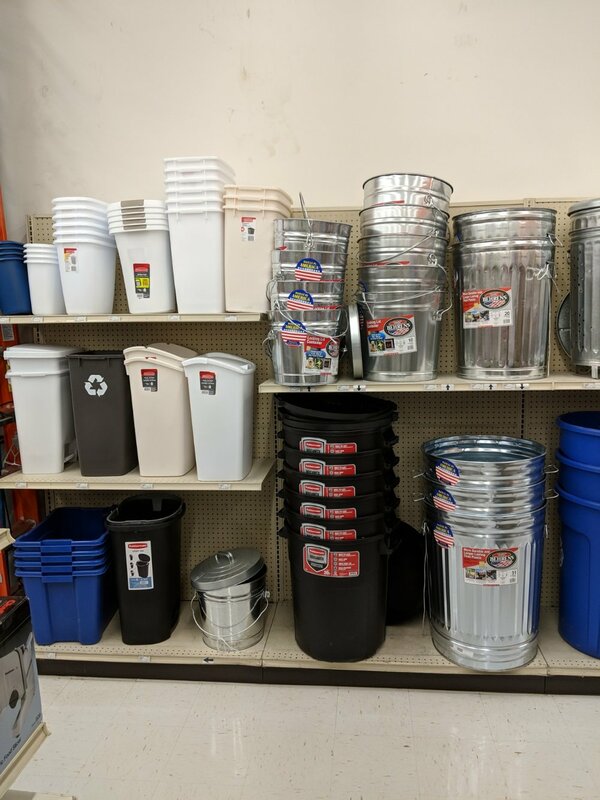 We have garbage cans that range from small bathroom waste baskets to industrial trash bins, and we sell bags to fit them all. 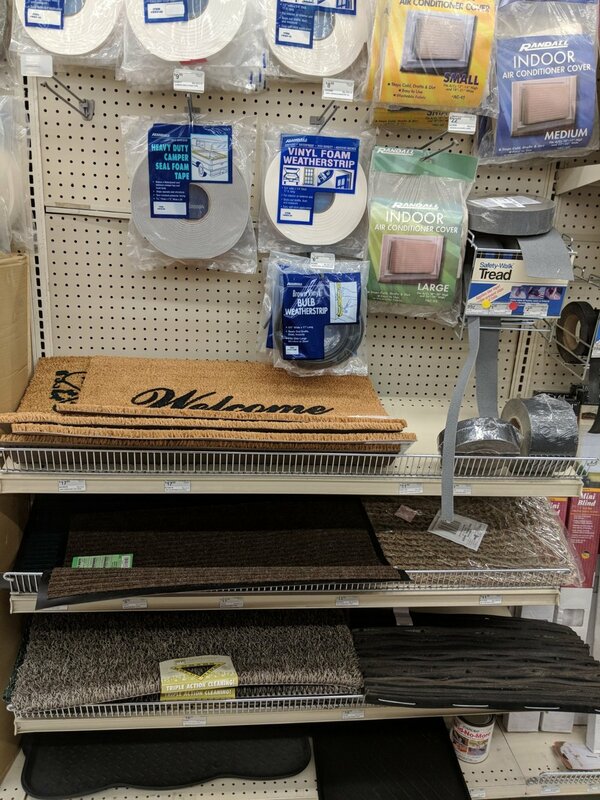 We have a wide selection of brooms, mops, and dusters from great brands like Swiffer, Cedar, Mr. Clean, and Rubbermaid. We also sell replacement mop heads, broom heads, and specialty mop refills. Our cleaning departments have cleaners for all kinds of messes and surfaces. 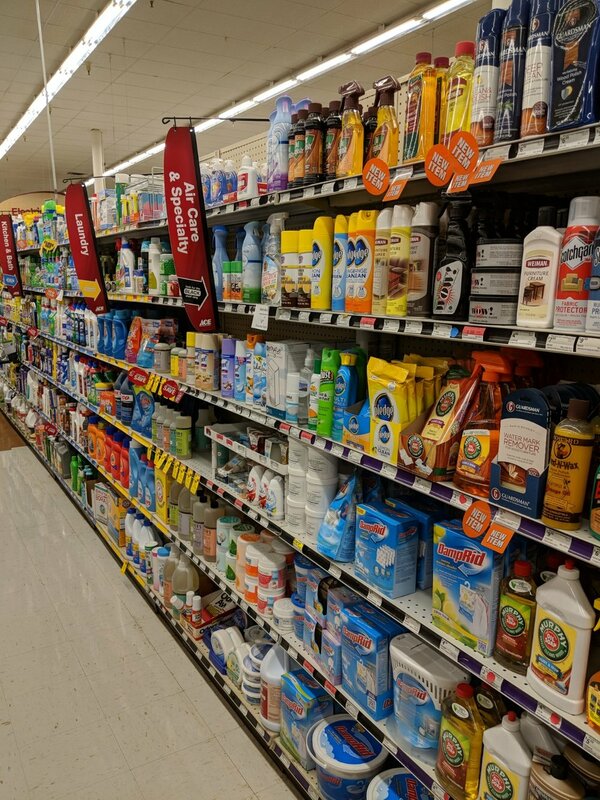 We have the basics, like floor cleaner, dish soap, toilet bowl cleaner, and multi-purpose cleaners, but we also have several specialty products. We sell cleaners that excel on specific jobs and surfaces, such as fabric protectors, stainless steel cleaners, and wood polishes. We sell products from Mr. Clean, Tide, Pledge, Murphy Oil, DampRid, Tide, Lysol, Ajax, Guardsman, Clorox, Simple Green, and many, many more! Once you get the right cleaner, it is important that you apply it safely and successfully. That is why we sell cleaning gloves that range from thick, chemical grade gloves to thin, disposable ones. We have many different options of cleaning applicators: scrubbers, sponges, brushes, rags, and shop towels. 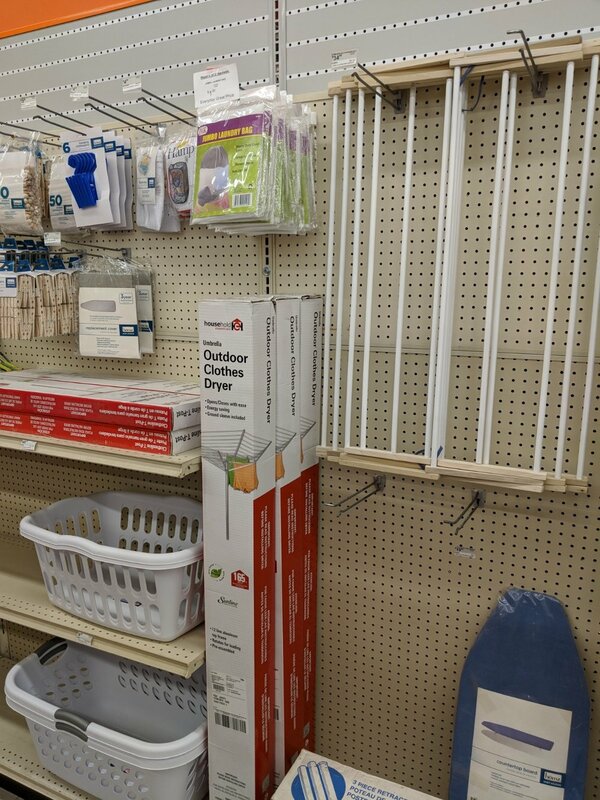 In addition to many kinds of laundry detergent, we sell drying racks, clothesline wire, clothespins, lint rollers, laundry baskets, hampers, and more. We sell coolers of all shapes, sizes, and strengths. We also sell ice packs, lunch bags, and thermoses. 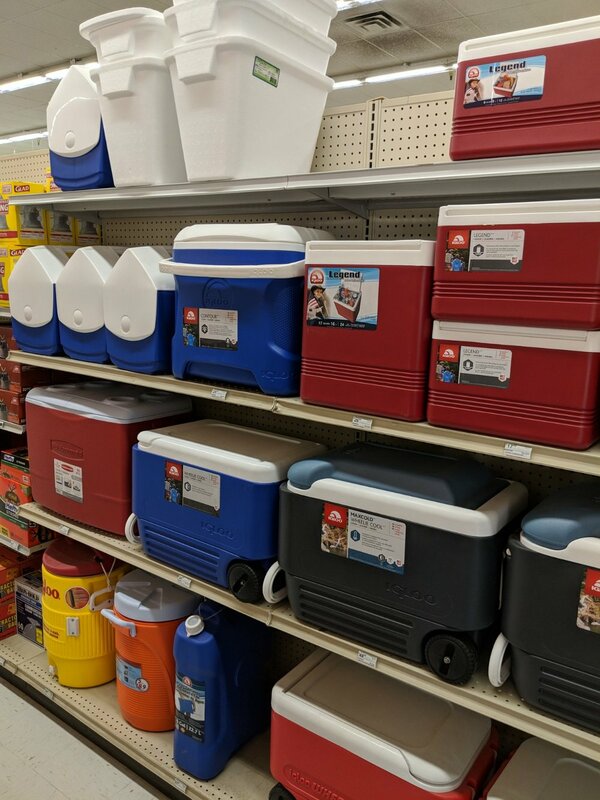 Ace of La Crosse and Portage Ace Hardware both have Yeti coolers and products in stock. Our RC and Muscoda stores can order the Yeti products you want for you. 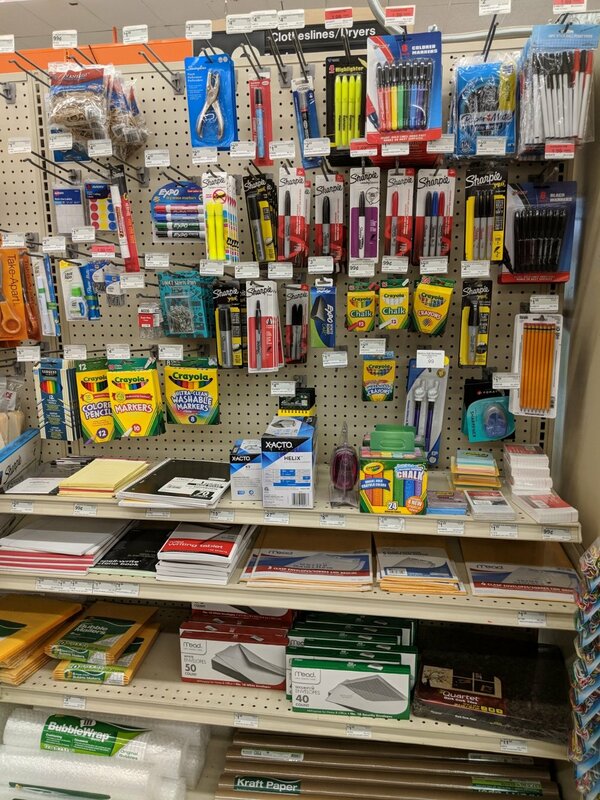 We keep many basic office supplies in stock. We have permanent markers, highlighters, pens, pencils, staplers, notebooks, and more. 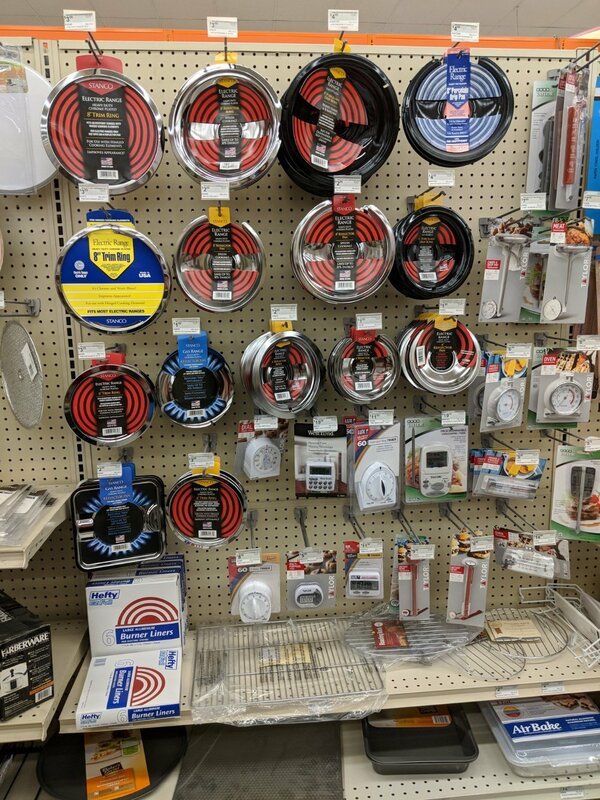 Walsh's Ace sells a variety of other houseware products, including clocks, door mats, scales, and air mattresses. Each of our stores has a small assortment of toys, many of which change depending on the season.